Newcastleton is a good place to go mountain biking if you are a confident and experienced rider. It has a skills area that allows you to practice your techniques on blue and red routes. There are a series of easier blue routes for less experienced riders and harder red routes for more experienced riders. For these routes you will need a helmet, bike, water bottle, suitable clothes for the weather and optional arm pads and knee pads.You need a good mountain bike to be able to ride lots of the red routes fast and safely. At the car park there are some picnic benches, toilets and somewhere to fill up your water bottle or wash your bike after you have come back from your ride. 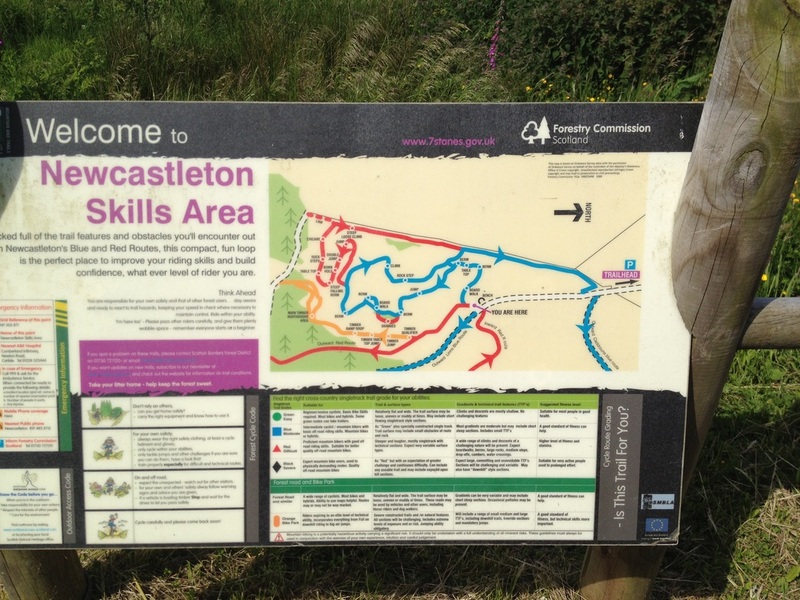 You could go and warm up on the skills course and see what Newcastleton has to offer with its trails by looking at the map at the start of the course before going around the routes of varying difficulty. The skills area lets you decide what colour route you want to go on with a taster route of blue with some optional section of red routes to see whether you can cope with the thrills. The length of the route depends on how many routes that you want to go on. There isn’t one long route but lots of little routes. Kielder is a great place to go for a family holiday in the UK. It has lots of activities to do like biking and canoeing. There is one route which goes all around Kielder water called Lakeside way. This is suitable for families of all ages because the path is wide and there aren’t many steep hills or drops. However there are also routes for more experienced riders. Because it’s quite a long way to travel on a bike, it may be best to drive in a car or hire a van if it is a large group. There is a hostel near Kielder castle if you wish to stay there but there are also lodges. The place I would recommend to stay in would be the YHA (Kielder hostel). In Kielder there are lots of Midges. We would recommend you wear insect repellent and clothing to protect against their bites. If you chose to do the Lakeside way route then we would also recommend that you go in a clockwise direction so you do the hardest part first, when you have the most energy.